Today we’d like to introduce you to Billie Topa Tate. Billie is the founder of MSI (Mystical Sciences Institute) an earth friendly educational institute located in Evanston, Illinois. She is Mescalero Apache and is dedicated to presenting the sacred principles, doctrines, and teachings of her Native Culture and many ancient wisdom systems from around the world, creating synthesis through harmony of many lineages. Billie is a traditional Native American healer and teacher of Mescalero Apache descent, trained and educated by numerous family Elders and extended family members. She is a Reiki Master Teacher Eighth Degree and licensed therapeutic massage therapist. Billie is an approved provider of continuing education programs for Massage Therapists and Illinois Nurses. Has written and lecturer extensively for more than 18 years. She is internationally recognized as a wonderful teacher, healer and advocate of Earth Friendly endeavors. Billie maintains a successful practice at her MSI center in Evanston, and with the expressed permission from her Native culture Billie shares many of the ancestral principles, healing systems and native wisdoms with her students and clients. She is internationally recognized as a wonderful advocate of Earth Friendly endeavors. Billie maintains a successful practice at her MSI center in Evanston, and with the expressed permission from her Native culture, Billie shares many of the ancestral principles, healing systems and native wisdoms with her students and clients. 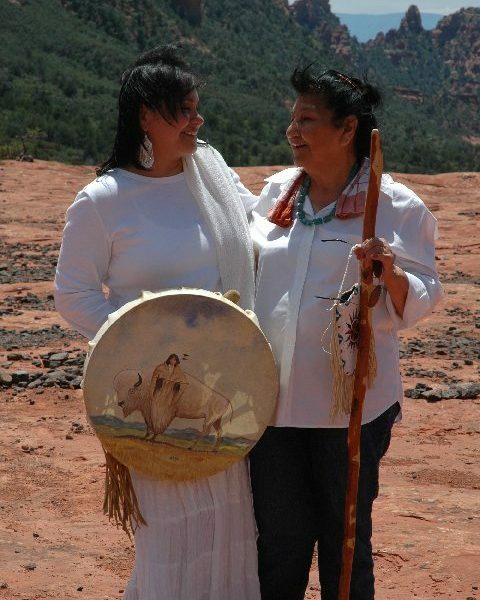 She is a traditional Holistic Practitioner and Native American Mescalero Apache teacher. She provides insight and resolution skills to karmic situations as it relates to the wellness of her clients and students. She has been an advocate and teacher of earth friendly efforts for the past 20 years and has been part of many U.S. projects and efforts to maintain a healthy environment and healthy body, mind and spirit. Our Wellness Center has been wonderfully supported by the community and our clients. It is with much gratitude and hard work we continue to have our offerings here on the North Shore. Earth Friendly wellness and education center located in Evanston, Illinois. Our MSI wellness center is also an accredited CEU school for Massage Therapists. Our Center is where Billie Topa Tate has her healing practice. We also provide wonderful earth friendly classes focusing on meditation, life style skills for the modern mystic. MSI – wellness center also, provides: yoga, meditation, and other stress relieving classes for the general public. MSI wellness center provides a free and open to the public meditation every Friday at 6:30pm. You are more than welcome to contact us for more information and welcome to join us for our Free – open to the public meditation every Friday at 6:30pm.